I’m sure you can imagine how difficult newborn photography can be. Keeping a baby happy, quiet and dry can be quite a challenge. Now that we’ve gone through the process 3 times I feel confident enough to offer some advice! Because no one wants to miss out on those special first few weeks of their babies life. 1.) Photograph Newborns by 2 weeks old. In the first two weeks of life babies sleep more then they’re awake. You want to catch them before they become more alert and interested in what’s going on around them. It’s also easier to keep a 2 week old baby snug in swaddle then it is with a 4 or 5 week old. Aside from becoming more alert and awake as they get bigger, they also get much stronger pretty quickly! 2.) Be prepared. Babies don’t wait for anybody. If you have a baby that sleeps during your shoot consider yourself lucky. The last thing you want to do is waste time looking for something. Have all your props and equipment ready BEFORE the shoot starts. That way, when the baby is asleep or comfortable you don’t need to spend time doing anything besides shooting. Ideally, you want to feed the baby immediately before the session begins. Most babies will fall asleep while feeding, thus making it easier to take photos. If you’re taking photos of your own newborn, try to enlist a friend or loved one for help. Aside from the fact that you can get photos of yourself WITH your child, two hands are always better then one when it comes to babies. *Tip* Undress baby down to the diaper prior to feeding and cover him/her in a nice warm blanket. That way you don’t have to disturb the baby to start taking photos. 3.) Have a blowdryer handy. Babies are fussy. Often times a constant sound such as that of a blowdryer can help ease them back into a calm state. It doesn’t have to be a fancy blowdyer. A cheap one from Amazon will do! 5.) Be flexible. Babies are unpredictable. You might hope that the baby sleeps the whole time and you get all those cute little shots of them in a bunny or bear suit, but that doesn’t always happen. If that’s the case, take it for what it is, a baby being a baby, and enjoy the time anyway. Get some great shots of him/her staring into the camera, crying, being held by mom or dad. While the sleeping babies pics are adorable, the other shots will be just as important and memorable as they get older. If he’s fussy, capture it! If he’s sleepy, capture it! There is no wrong way to get great photos of your newborn. Bringing a new life into the world is beautiful in itself. Enjoying the moment and having pictures to look back on to remember the special time is the goal. I’am also dying over this bow and arrow set! 7.) Catch the special little details. If parents are married, capture wedding rings on babies toes, capture the back of their head with whispy hair, their teeny tiny hands and all the dainty things that won’t last for very long. One of my favorites was the stork bite all of our kids had! These details can’t always be seen in full shots and what make newborn photography so special. 8.) Use Waterproof mats. Babies go to the bathroom. A LOT. 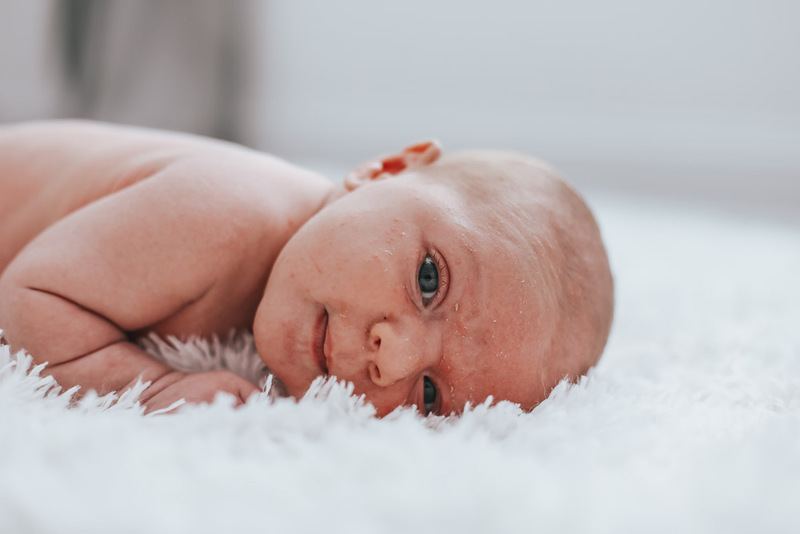 Instead of having to worry about taking a diaper off and putting it back on, place them baby on a waterproof mat in between takes, or think about putting it underneath of whatever prop you’re using. It’s a lot easier to clean one mat than an entire rug or blanket. 9.) 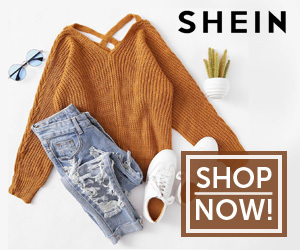 Have extra sets of outfits. A baby can ruin a set of clothes quicker than you can say PHOTO. Don’t let a ruined outfit ruin your whole session. It’s better to be over-prepared then under. 10.) Avoid over-editing. Sometimes babies develop baby acne, eczema, rashes, red skin or all of the mentioned. 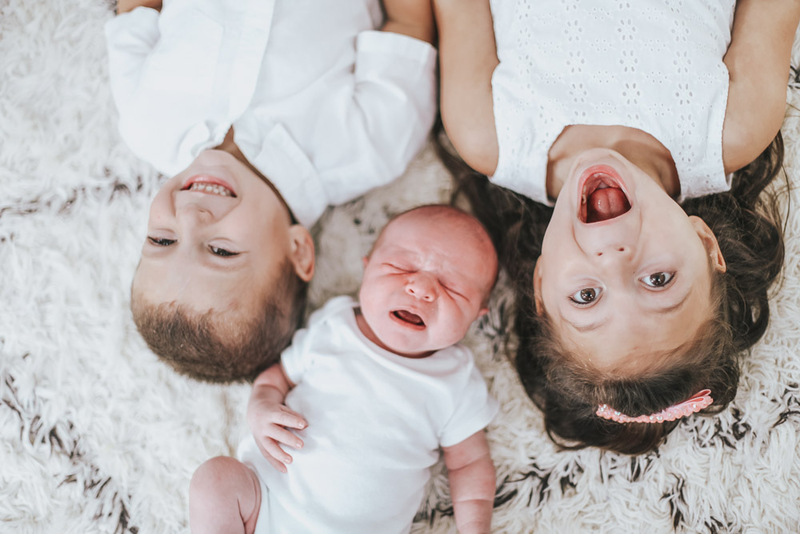 While it might not be the way you envisioned your baby’s photos to turn out, it’s those imperfections that make them so perfect. Those are the things we so often forget so quickly. I know that after having a baby mom might not feel like she looks or feels her best. But I highly suggest hopping into at least a few photos with your newborn (dad too!). It’s a time that moves too quickly and being able to look back at those photos will be something to cherish forever. 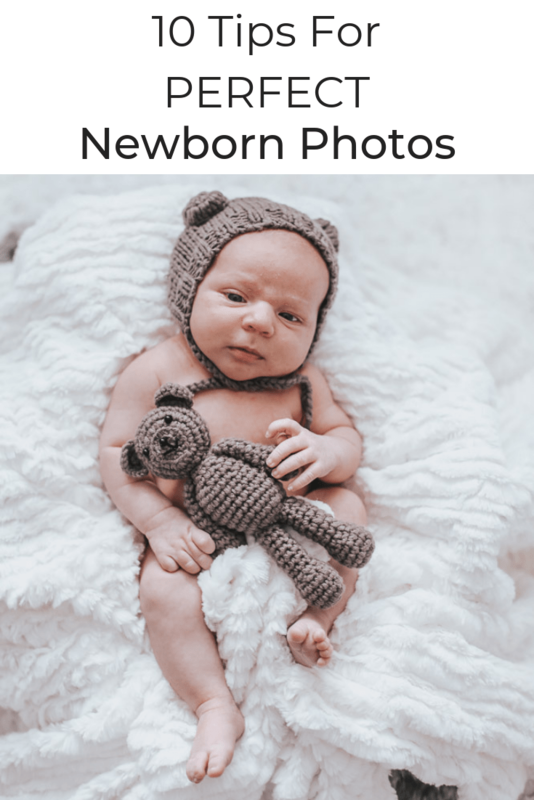 If you’re planning to do newborn photography, I hope you found this list helpful! 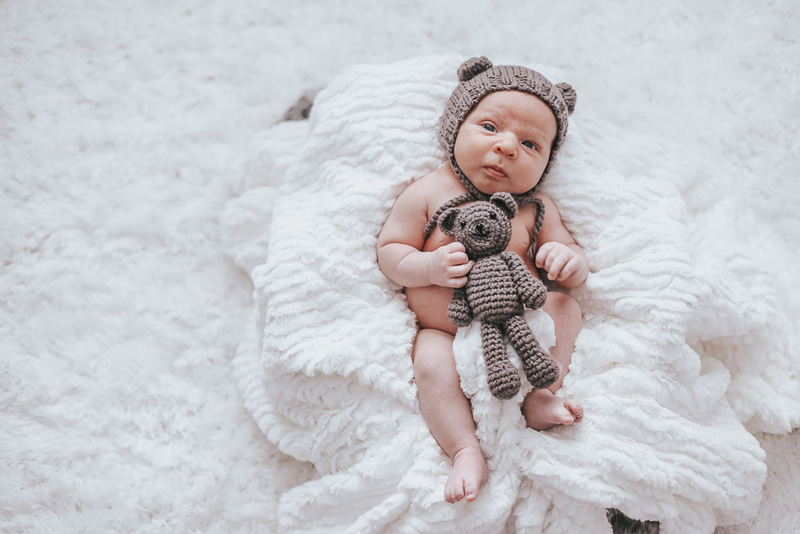 Do you have any newborn photography tips? I’d love to add them to this list if so!